Dr. Safeeq's research involves studying how the complex interactions between climate, vegetation, soil, and geology control and modulate critical zone processes related to water. The goal of my research is to identify key hydrologic controls crucial for quantifying and predicting the impacts of climate change on future water supply, which can in turn help to develop science-based, targeted land management and restoration strategies for sustaining future water supply and the environment. Mohammed Safeeq brings climate change expertise to the UC Water team and research program as an investigator. 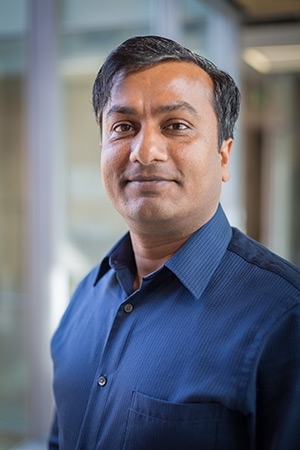 Mohammad Safeeq is an Assistant Research Scientist in the Sierra Nevada Research Institute and an Assistant Adjunct Professor at the School of Engineering University of California-Merced. Safeeq recieved his Bachelors in Technology at the CSA University of Agriculture and Technology, Kanpur (India) and his Masters in the Indian Institute of Technology, Kharagpur (India). He recieved his Ph.D at the University of Hawai'i at Manoa.